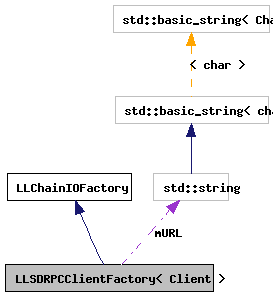 Basic implementation for making an SD RPC client factory. Definition at line 240 of file llsdrpcclient.h. Definition at line 243 of file llsdrpcclient.h. Definition at line 244 of file llsdrpcclient.h. Definition at line 245 of file llsdrpcclient.h. References LLURLRequest::addHeader(), LLURLRequest::HTTP_POST, lldebugs, llendl, LLSDRPCClientFactory< Client >::mURL, and LLURLRequest::setURL(). Definition at line 266 of file llsdrpcclient.h. Referenced by LLSDRPCClientFactory< Client >::build().